Did you like my blog redesign? I hope to have more interviews, guest posts, and sundry other author involvement items on this year, in addition to my wonderful reviews that you stop by weekly to read. This series has definitely been all over the vast D&D map for me. Some authors have left me feeling left behind for not having read previous books. Others have created an elaborate world I want to know more about because I realize there is so much more to know. In the grand scope, I have enjoyed what each author brings to the table with their revitalization of the D&D worldbuilding, but this installment tops the list as my favorite. The characters were rich and eclectic, just the way I love to read them. I mean, come on now, who doesn't love pirates and classic vampires? However, I became most intrigued with the Red Mage sect. Not the type of magic I thought I would go for, either. Umara is just one cool character. One of the items that made me place this book as the #1 rank out of the four so far published, is an introduction of Stedd from a previous book. We are now starting to have some true overlap of purpose in these stories. The sense of drifting in something familiar-but-not-quite-known has begun to fade. There is plenty of action and adventure for the boys, but a dash of connection as three typical castaway, loners carve a bond in each others' hearts for the girls. The struggle of Anton, Umara, and Stedd to work together and build trust is very realistic and excellently developed through this story. The pacing was great. I was a little disappointed when I got to the ending but was not left wanting. 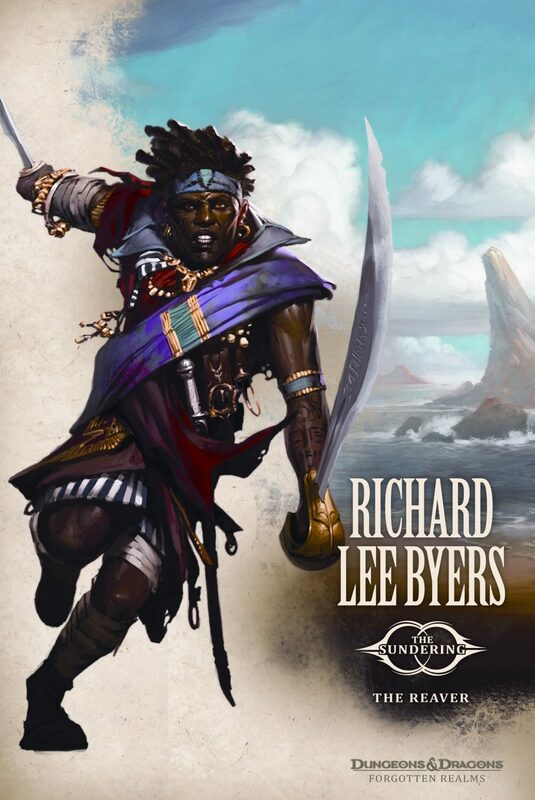 Richard Lee Buyers proved himself a veteran author with fluent writing and great theory. It all built together to make a truly excellent book. The price tag is still a little high for my taste (aside: I have a hard time with any hardback prices. And yes, I know that they cost more to make with binding and all the shiny printing extras. I still have a hard time with it. ), but each book is running an introductory promotion that makes it hard to miss out on purchasing. Or, you can go digital and knock off even a few more dollars. This is the first of the series that I am honestly contemplating purchase. Here is to another special post tomorrow!